Christ is Our King. The adorer who enters a Catholic church goes down upon his knee in a royal salute that we call a genuflection. Christ is enthroned in the monstrance at each benediction and exposition of the Blessed Sacrament. Christ is a King of Mercy and Love. He does not force our obedience, He solicits it; He does not command our service, He begs it; He does not thrust Himself upon His subjects, He asks their love and devotion. He is a King of free subjects, a monarch of willing men and women, a ruler who woos and wins and holds by the power of His generosity and unselfish love. He offers each of us a daily audience. He remains in our company as long as we will permit Him. Political slavery begins with spiritual slavery, and it cannot be achieved so long as men remember their Divine King, and live by His law. Never before have we needed Christ the King, as we need Him today! Christ came to drive out man’s only real enemy: SIN! He would not crush those who seek to destroy the soul, He would manifest to them His sweetness and His truth. To men who sought death, He would give life. The call of Our King is gloriously challenging. To make certain the victory, He gave His companions the assurance of His presence. He arranged to be on the battlefield, to be in the vanguard of His marching armies. On the front line, the Tabernacle is His mobile tent. 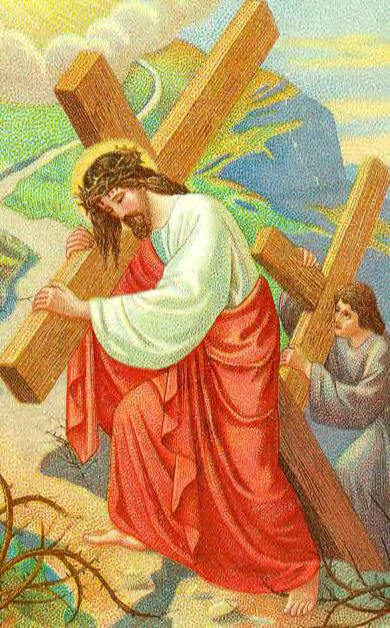 He never ever cries, “GO!” He always cries, “COME!” He leads, He does not send; He goes first; All others follow after Him! Christ the King reaches out to the strong, but it is the weak who seem to answer. His truth flashes before the clever, but the simple accept it most eagerly. His invitation goes out to all, but those who love the world too much, prefer the world to the God Who made the world! Too many friends of God are lazy while His enemies have the energy of the devils themselves. Those who claim to be on God’s side do halfheartedly what God’s opponents do to the full bent of their twisted souls. We who love the Eucharistic Christ and profess to serve the King of Kings have a decision to make: With how much energy and devotion shall we advance His Kingdom, fight His battles, win His victories and give ourselves to His cause? To some of the great saints is given the privileged honor of playing a spectacular role in the Royal Campaign: St. Peter, St. Paul, St. Patrick, St. Benedict. But, for most of us, the role in Christ’s Campaign will be a simple one, unnoticed and completely without external glamour – yet important beyond measure! We will do small deeds, accomplish small achievements, have endlessly ordinary days and, in small ways, we will play a vital, significant and important part in Christ’s Campaign. In God’s plan, man presides over his world of self, as master and ruler. He wields the scepter of his free will and is guided by his conscience. He may follow God’s laws or disregard them. Indeed, God Himself cannot come into his soul unless he, the master, invites Him! Man is able to bar God from His world, drive Him out and reject His ambassadors. By the providence of God, each man is supreme within his own kingdom. He may rule it well or rule it tragically. He may serve the King of Kings or kneel before Lucifer. The first of all conquests for man is the conquest of his own individual soul, which is the most important of all worlds. The universe as a whole is made up of individual souls. Mankind does not exist; there exist only individual men and women. There is no mob; there are only men and women who make up the mob. Humanity is an abstraction that cannot be saved; only this man and that woman and all the individual people can be saved. God did not die for an abstraction, but for you and me, and for every individual soul. God cannot take over souls by divine decree; He must wait until they freely surrender to Him. “Behold, I stand at the door and knock,” He cries. Until the door is opened by the dweller in the house, God cannot enter. God must wait patiently for our decision to swing wide the gates of our little world to Him. Christ Our King will conquer by love, not by force! We are wise to forget universal conquest for the moment and think rather of the conquest of that little world which is the one that God loves and Christ seeks. We may not be able to give China and India to the provinces of His Empire; but we can give Him our soul, surrender to Him the small world that is bounded by our bodies and our influence. In gratifying reassuring truth, this is the world His Heart craves. God has placed in our hands a sector of the wider world and has asked us to administer it for Him and for His children. We are to be good stewards. For husband and wife, the home; for the student, the classroom; for the storekeeper, his shop and for the doctor, the patients’ bedside. Each of us is a steward of his briefly loaned goods. Each individual has a double function: As king of his own little world, he must open that world to Christ and, as he finds himself entrusted with the care of others, he must radiate Christ to them. Whether our part in Christ’s Campaign to establish His Father’s Kingdom of peace and happiness upon earth, is spectacular or routine, it is a vital part that depends solely upon us and our co-operation with God. We can surrender our world to Christ or we can hand it over to the devil. The Holy Father exhorts us to follow Him, by consecrating ourselves individually to the Heart of Mary, making the consecration in our family, in our parish, in our diocese and in our country. Let everyone be consecrated to the Immaculate Heart of Mary and live that consecration. This is the most powerful preparation we can make for the great day when, “the Holy Father will consecrate Russia to Mary’s Immaculate Heart and peace will be given to the world.” Let us not look from afar and say, ‘if only the Holy Father would do this, if only the Bishops would do it.’ Can we not see that this type of thinking leads us to inaction and apathy? I cannot speak for the world but, individually and firmly, I can make that life-time commitment to Mary to belong entirely to Her and to become like Her so that, filled with Christ, I can pour forth Christ upon the world. I alone can completely and utterly surrender my heart to the Heart of Mary, since I alone am ultimately in command of myself and all my acts. We consecrate ourselves not because we are perfect, but to become perfect. The Heart of the Mother of God! To live WITH Mary’s Heart! To live IN Mary’s Heart! To live THROUGH Mary’s Heart! To live FOR Mary’s Heart! Of Mary, there is never enough! Living our consecration means becoming zealous apostles of the Queen of Apostles and using every ounce of our energy, ability and ingenuity for conquest in the cause of Her, who crushed the serpent’s head. The consecrated apostles of Mary’s Heart of Love can know no rest until that hour of triumph; and to this end, they take their place in the battle ranks of Her Legion and the armies of Her Ambassadors. 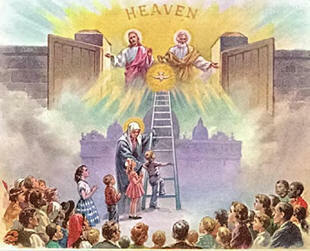 BEHOLD OUR IDEAL – THE IMMACULATE! To come close to Her, to become like Her, to permit Her to reign over our hearts and our whole being, that She live and act in us and through us, that She love God with our hearts, and we belong to Her unreservedly: THIS IS OUR IDEAL! To influence those who surround us in order that the hearts of our neighbors might also be open, so that She might be Queen in the hearts of all men wherever they are in the world, without regard for the difference of race, nationality or language: THIS IS OUR IDEAL! That Her life might grow deeper in us from day to day, from hour to hour, from moment to moment, and without any limits: THIS IS OUR IDEAL! TO GIVE ONE’S LIFE FOR THE IMMACULATE, IS THE SUMMIT OF LOVE! We come today to crystalize our goals and to seek new ways to increase our numbers. The hour is late! The principle of our labors is to bring the Immaculate Heart of Mary to every individual, that She may form them into Jesus Christ for the glory of God, in time and throughout all Eternity. This is done in a singular way and magnificently through the Daily Decade each member carries, united throughout the world and offered for the Triumph of the Immaculate Heart of Mary. The Decade is the very heart of this devotion and is to be prayed each and every day. It is not necessary to have a Rosary, for it is the prayer which is the powerhouse and fire of charity of the Living Rosary. This devotion is suited to all peoples of the world and there is never any reason for special legislation to the particular circumstances of an individual. Material help is not our mission. Even Sacramental help is not our mission. We are a furnace of prayer, an inferno of charity! The Petit Manual of the Living Rosary outlines the authentic organization. Any variation from this Manual means departure from authenticity. We go forward to prepare the way for the Reign of Jesus Christ through the Immaculate Heart of Mary, using the Holy Rosary, the most effective weapon given to mankind, not to radiate ourselves! 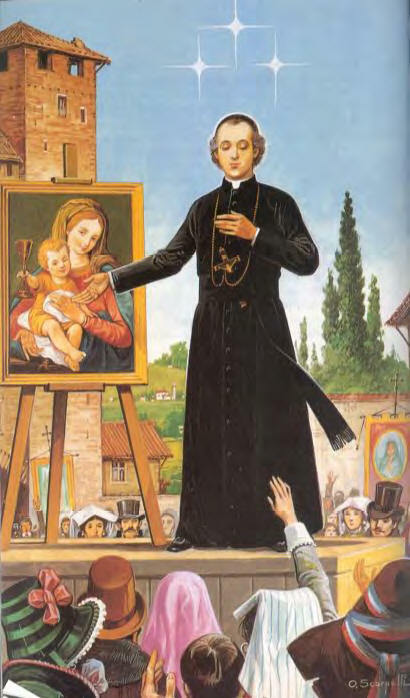 The Propagation of the Faith and the Living Rosary were the two greatest works of the Church in the 19th Century! Following the original guidelines laid down by Venerable Pauline Jaricot, the Living Rosary is organized for quick and efficient growth, protected against disunity, and secure against the pride of souls who would dismantle and destroy its heart. The Association of the Living Rosary is highly indulgenced and, with each new member enrolled, the graces and merits of all the members are greatly increased. Pauline likened the fifteen members as coals one would use to build a fire. Five coals are cold and have only good will, five coals are lukewarm and have little zeal and five coals are on fire with love of God and zeal for the Faith. Put them all together, and you have a furnace of charity, a great inferno circling the world, powerfully wielding the greatest tool given to us in these latter days for the conversion of sinners, the preservation of the Faith in our own country and the propagation of the Faith throughout the whole universe. Our goal is the establishment of the Reign of Christ the King through the Immaculate Heart of Mary. Though we are many, we become ONE! Each member makes the contribution of his own Decade to the Decades of all the other members, thus each one gains the graces and merits of over TWELVE Million Rosaries being offered each and every day by the Associates. This is the power of “ASSOCIATION,” the gold of the Living Rosary! This is the great inferno, the Living Breath of the Holy Ghost! Let everyone take up his Daily Decade! Let us beg the Immaculate Heart of Mary, to make our faith courageous; then, filled with firmness of spirit, we will cast aside all fear. We must strive to make our soul a City of the Immaculate! Let us spare no sacrifice to give Our Lady to souls and souls to Our Lady! God gives His graces through the Immaculate Heart of Mary! This grace is life itself to the soul and, so, our mission is life-giving and absolutely vital!!! St. Philomena is the New Light of the Church Militant and how badly we need her heroic charity, humility, purity and obedience to all that is the Will of God. May God and His Blessed Mother be with you in everything you do, always and forever! Daily, you are remembered in our prayers. This entry was posted on Wednesday, June 27th, 2012 at 9:01 pm and is filed under NewsFlash, Saint Philomena. You can follow any responses to this entry through the RSS 2.0 feed. Both comments and pings are currently closed.